Circa Lighting is one of my go to sources when scouting chandeliers for clients. They have a great range of items and are always available in multiple finishes, plus it usually fits right into the budget friendly schedule! 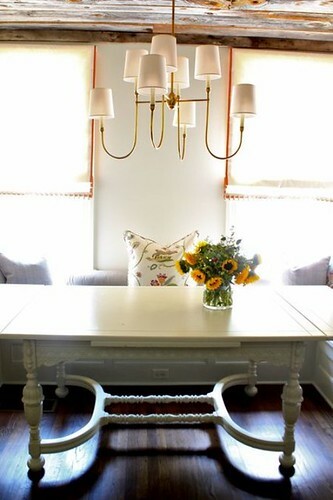 Though at times, I will be absolutely certain a fixture is perfect for a space but the homeowner might be on the fence because it is outside of their comfort zone. Of course then I am on the hunt for the only thing that will convince them outside of my mood boards and drawings....a real life setting! Below is a perfect example! 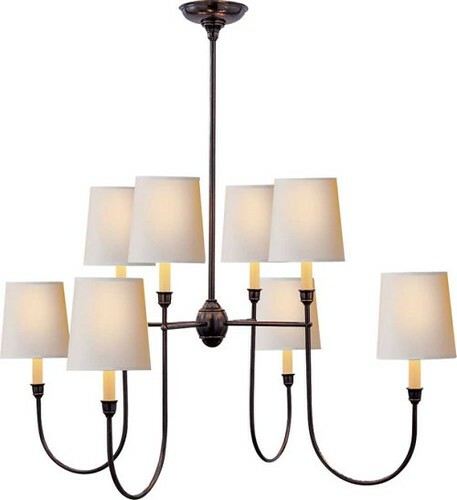 Thomas O'Brien's Vendome Chandelier is one of my favorite fixtures at Circa. The sweeping arms and crisp, clean lined shades leads it to be both casual and elegant! As you can see below it can fit in many room styles. 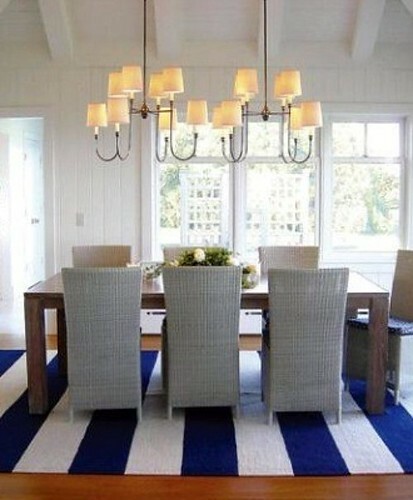 Trust me, every designer LOVES a good versatile chandelier! Would you use this chandelier in your home? Do the room setting images help you make decisions? Such a clean looking chandelier!!! YES! Images help me hugely when making decisions!! !